Lloyds Bank Commercial Banking has made a new senior appointment in its Leeds office to support commercial banking customers across Yorkshire. The bank has appointed Bridie Robinson as business development director in its Leeds office as part of the launch of a new business development team across the North. Bridie joins the team from corporate finance consultancy Sentio Partners, and brings with her 15 years’ experience providing advice to firms in Yorkshire and the North East. The launch of the new pan-northern business development team forms part of Lloyds Bank’s Helping Britain Prosper strategy, with Sara Sell and Christopher Yau also joining the team as business development directors in the North West. The team will be led by regional director Jim Sparling. The Commercial Banking team’s SME support in the North of England will be led together by Kelly Green and Martyn Kendrick. Meanwhile, Glenn Bemment will oversee mid-corporate and Steve Harris will lead large-corporate. 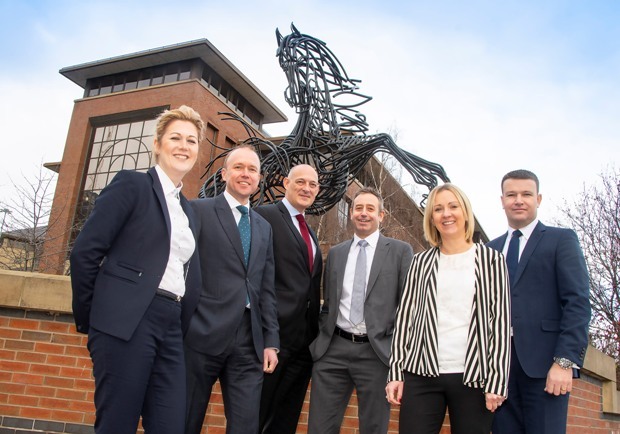 Bridie will be based in Lloyds’ Lovell Park office, which has also become the bank’s largest base for business support outside of London following a number of role relocations in the Leeds city region. The relocation of teams to Lovell Park aims to improve the bank’s service for business banking clients in Yorkshire, from SMEs through to large corporate organisations, with relationship teams, specialist product providers, credit analysts and customer service staff all now in one location.